Sometime during the Christmas season, you’re going to park in front of the TV and watch something Christmassy. It may be forced on you. “But we always watch It’s a Wonderful Life as a family.” You may get yourself in the Christmas spirit by watching Rudolph the Red-Nosed Reindeer or A Charlie Brown Christmas. You may find yourself watching the 24-hour A Christmas Story marathon because . . . . well, there’s nothing else to do. Sure, you could watch A Miracle on 34th Street again, but how many times have you already seen Santa on trial for insanity. How about a Christmas movie that makes you think the writers or producers were insane? Let me offer you a new list of movies to watch this Christmas. Bad ones. Really bad ones. These movies are like train wrecks: so bad you can’t look away. These movies may not put you in the Christmas mood, but they will at least make you laugh—or groan. So grab the family and some popcorn, then hit play on one of these stinkers. The Stars Wars Holiday Special (1978). 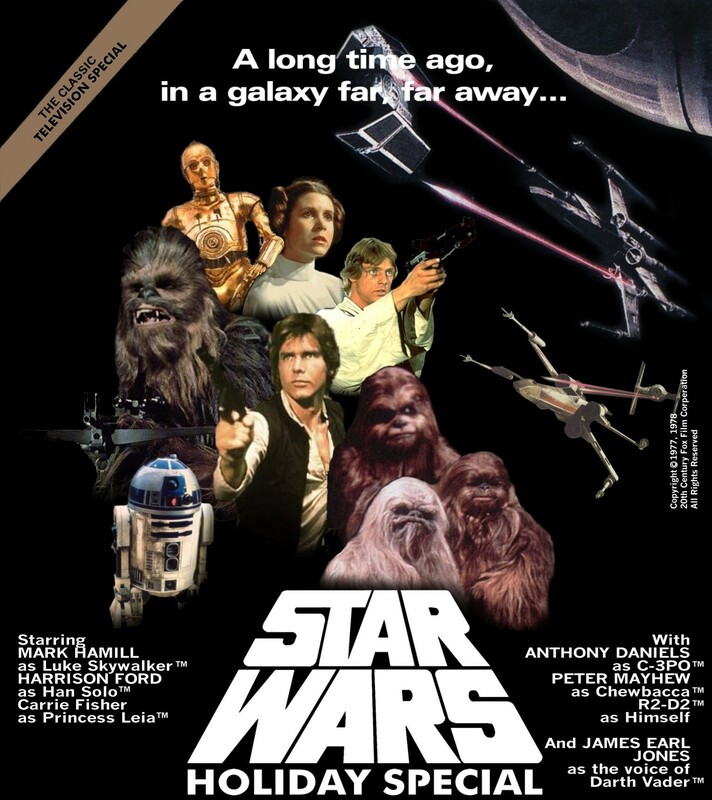 Star Wars was such a huge phenomenon in the late 70s that you could slap a hairy Wookie on anything and it would sell. Except Christmas specials. This was so bad that in later documentaries on Star Wars, George Lucas and friends would never mention this. So what’s so bad about it? How about Wookies celebrating Life Day and Carrie Fisher singing a Life Day carol? Santa With Muscles (1996). Nothing makes me think of Christmas more than a bad wrestler turned bad actor. Hulk Hogan (wearing a toupee so bad even William Shatner would turn it down) gets knocked on the head while wearing a Santa suit (it’s best not to ask), and he wakes up thinking he’s the guy in red. In typical holiday fashion, Santa beats the living fruitcake out of the bad guy who’s taking over an orphanage. Meanwhile, back at the ranch . 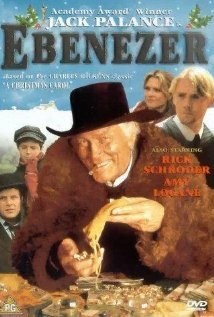 . .
Ebenezer (1997). We all love Dickens’ A Christmas Carol. Except when it’s been set in the wild west. Where’s Clint Eastwood when you need him? Christmas Comes to Pac-Land (1982). Pac-Man was the video craze of the early 80s. The American way, of course, is to cash in on any fad, so why not a Christmas special? 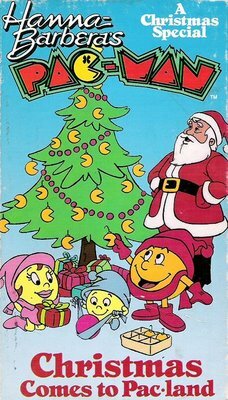 So Christmas visits Pac-Man and his family in a poorly animated and weak story. Hey, how hard is it to animate a circle with a pie piece cut out? 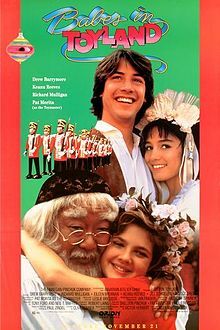 Babes in Toyland (1986). All right! This one’s got Drew Barrymore and Keanu Reeves, so it’s got to be a blockbuster. Maybe not. Drew was only 11 but already living pretty wild. It shows in this stinker. But where else can you see Keanu Reeves drive a pink go-cart and sing about the joys of Ohio? 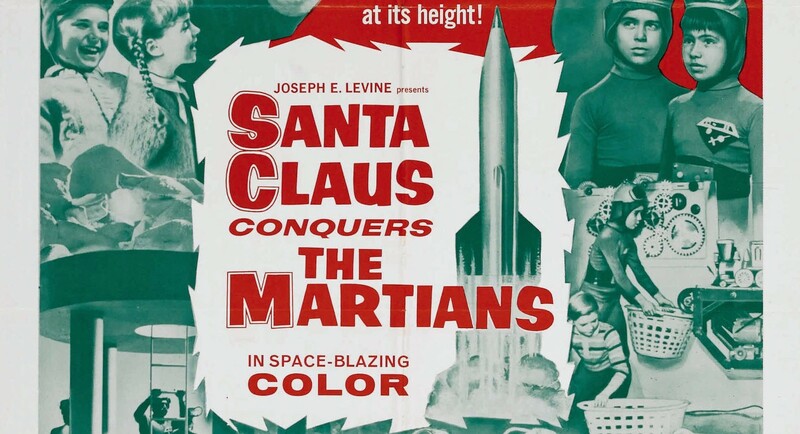 Santa Claus (1959). Americans aren’t only the only ones who can ruin Christmas at the movies. Set aside the popcorn and watch this one with chips and salsa. 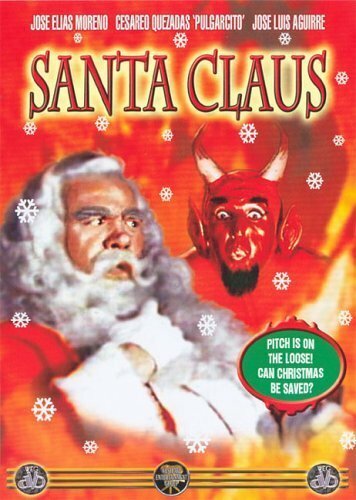 This Mexican import is a badly dubbed telling of that time-honored story of Santa battling Satan, or at least one of his demons with no sense of fashion (red tights, red boxer shorts, red makeup and a handlebar mustache). Did I mention the wooden reindeer? This one may be hard to find, but it’s worth it. Jack Frost (1998). 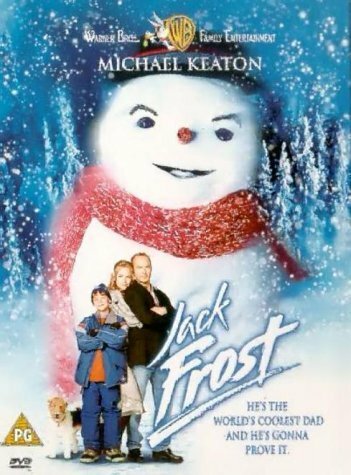 Nothing says Christmas cheer like a movie about a negligent dad who dies horribly in a car accident, is reincarnated as a creepy CGI snowman, and slowly melts at the end of the movie. OK, you probably loved this one as a kid, but watch it now as a savvy teenager, and you’ll be reaching for the hairdryer to help melt this slushball of a movie. 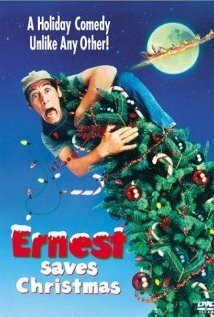 Ernest Saves Christmas (1988). It’s an Ernest movie! Does anything else need to be said? Know what I mean, Vern? The Santa Clause (1994). 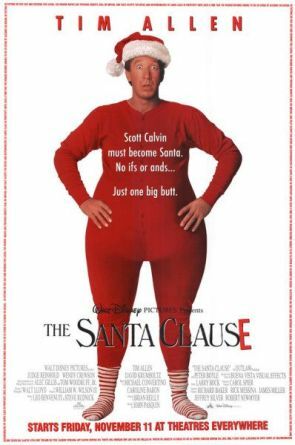 I’m going to get slammed for panning this one, but the movie begins with Tim Allen’s character killing Santa. “Killing” and Santa” are two words that probably should not be combined. But it gets worse. They made sequels! I’m waiting for The Santa Clause VI: Revenge of the Reindeer. Congress is considering banning Tim Allen from making any more movies with even a remote Christmas connection. That’s my list, and I’m sticking to it. Now get out there and see how much you can endure of these cinematic fruitcakes.